For more than 50 years, Bose has been providing companies and individuals with a wide variety of speakers and speaker systems. Bose has made itself known for providing products that offer reliable sound as well as simplicity and versatility. For example, they have sold speakers for large venues like stadiums to small venues like restaurants, while also selling to individuals for personal use. One of the benefits of this brand is that it offers simple operation. Unlike more complex speaker systems, Bose systems are easy to use. They don’t have more buttons than are necessary and usage comes with a very small learning curve. Speakers and sound systems can even be programmed to run automatically for consistently occurring events. 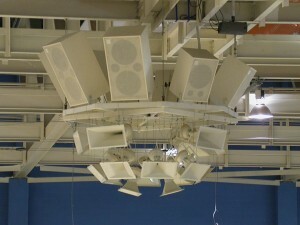 Loudspeakers produced by the company are designed so speakers are heard clearly. There’s nothing worse than a muffled speech. It’s frustrating for both the speaker and the audience. 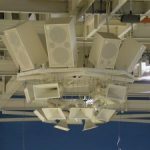 In space without acoustic treatment, these types of speakers can save the day. They can also provide natural-sounding music due to the high quality, even in the most inconvenient settings. Something that sets Bose apart from other brands of speakers is their aesthetic value. Sounds systems can’t always be hidden, but these look good even when they’re out in the open. They can be purchased and created to work within any sized space without being an eyesore. For personal use in homes or on the road, small, compact speakers systems are available that fit any sized living room or bedroom. The quality, design and variety of choices from Bose are what make the company a great name in the industry. Their ease of use makes them the right choice for any type of venue or user. From extensive speaker systems and corresponding monitors to desktop speakers, Bose makes a product for every type of acoustic need.